Welcome to the CBCA membership registration form. 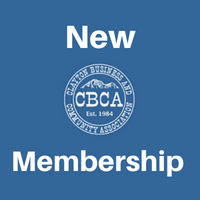 All memberships are reviewed by the CBCA leadership. An email will be sent to you regarding your membership status and fees required. the CBCA sponsors projects throughout the year in which all members are required to participate in two events a year. Please indicate on which project(s) you are willing to serve. We need your active support! If you mark nothing, we assume that you want to work on everything. Thank you!